Who would have thought coffee grounds could be circular? In fact, they are ideal as a fertile substrate for growing oyster mushrooms. 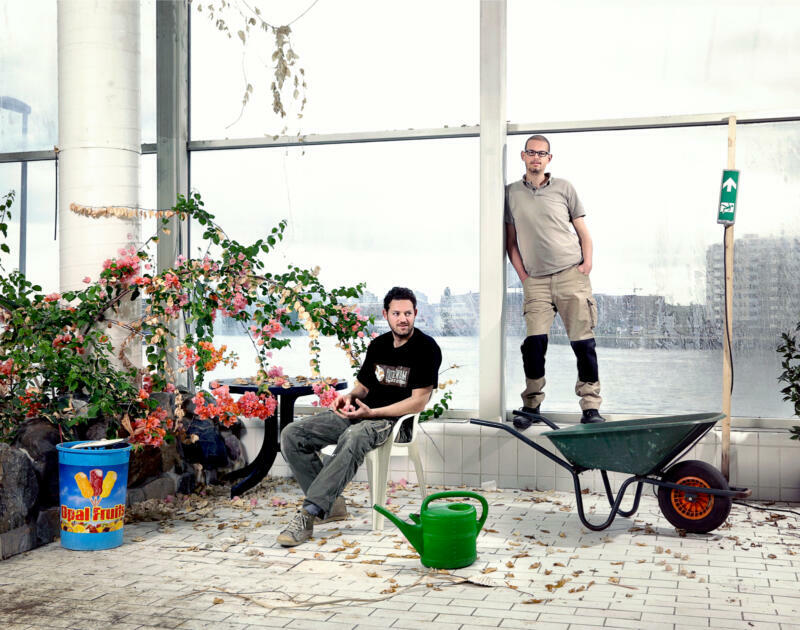 Rotterdam-based Rotterzwam collects coffee grounds from local pubs, large corporations and restaurants. 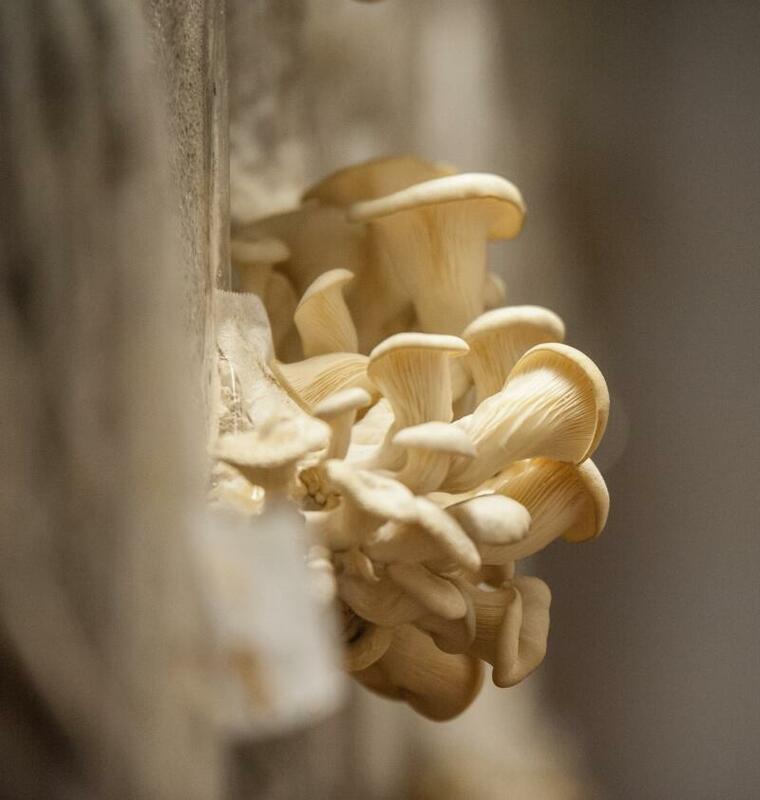 They mix coffee husks and mushroom sprawn in a bag, hang it in a special grow room, and six weeks later oyster mushrooms appear fully grown and ready to harvest. The mushrooms are sold to restaurants, shops and private customers in the city. The entire process is sustainable and local – an outstanding example of circular economy. "Substituting the beef with mushrooms saves 50 to 90 litres of fresh water per bitterbal"
One of the products Rotterzwam ‘s mushrooms are used for, is the typical Dutch ‘Bitterbal’ snack. Normally, this snack contains meat, but Rotterzwam created a vegetarian version made from mushrooms. Substituting the main ingredient beef with mushrooms saves 50 to 90 litres of fresh water per bitterbal in the production process; making it healthy, delicious and environmental-friendly at the same time. Rather than shun the competition, Rotterzwam is keen to actively share their know-how with others, thereby encouraging to take up mushroom cultivation at various locations. Almost every month, they host a free webinar on a wide range of mushroom topics. Through educating, the company hopes to spread their innovative idea and inspire others. A way to educate would-be growers and at the same time have experienced growers share their knowledge, is through the Mushroom Learning Network. Rotterzwam co-hosts this event, which takes place in a northern European city every year. During this two-day meeting, participants can exchange ideas on various topics concerning mushroom cultivation – from the growing process to the financial and business side. 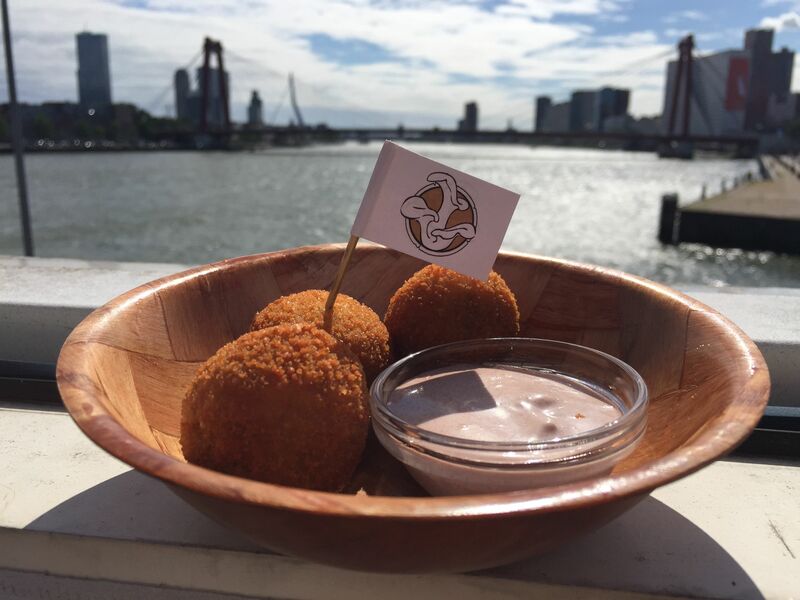 Although Rotterzwam’s mushrooms are grown and sold locally, their idea is shared globally. The company’s goal is to partner up with the world and create sustainable collaborations for the circular economy.